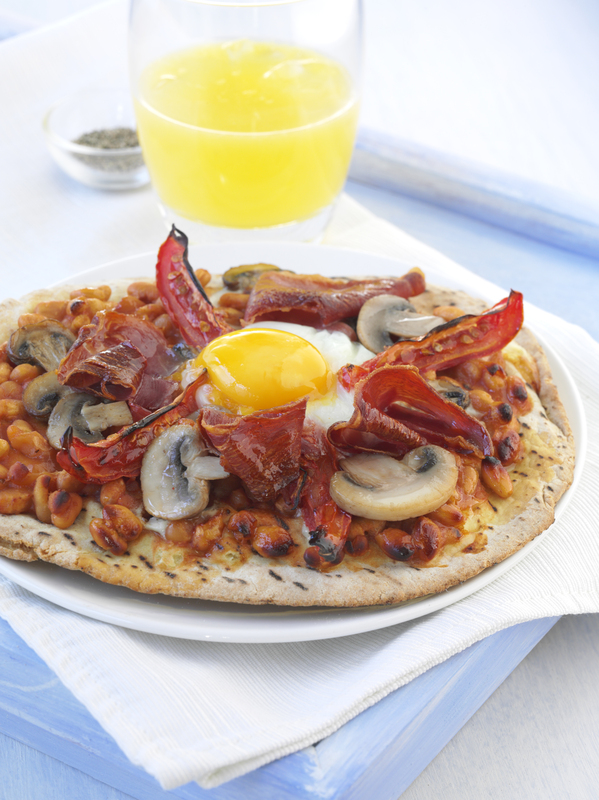 Place flat bread on to a pizza tray and top with baked beans, mushrooms and tomatoes. Place in to the oven and cook until mushrooms and tomatoes are almost cooked. Crack eggs into cups and check, remove pizza from oven and pour one egg onto each pizza then add prosciutto by tearing it and placing in a decorative manner. Place back into the oven until eggs and prosciutto are cooked to your liking.